The first account of a man with recurrent sleep episodes was reported by William Oliver in 1705. During the eighteenth and nineteenth centuries other cases appeared in the literature. In 1925, Kleine, published a case of “recurrent episodes of somnolence and morbid hunger” and Levin, in 1936, described “a syndrome characterized by recurring periods of somnolence and morbid hunger.” The name Kleine–Levin syndrome (KLS) was coined by Critchley and Hoffman in 1942. Twenty years later Critchley published a milestone article in which he gave an outstanding description of 26 cases of “a syndrome composed of recurrent episodes of undue sleepiness lasting some days, associated with an inordinate intake of food and often with abnormal behavior.” In the same review he emphasized four hallmarks: Males preponderance, onset in adolescence, spontaneous eventual disappearance, and the possibility that megaphagia may indicate compulsive eating. From 2000 onward use of neuroimaging techniques, in particular single-photon emission computerized tomography (SPECT) and positron emission tomography (PET), has led to a better understanding of the neuronal basis of the syndrome. 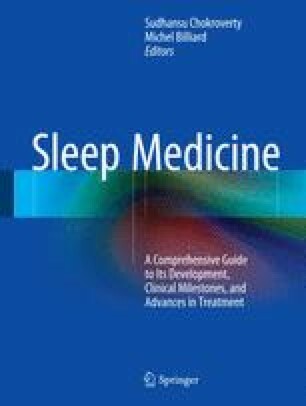 Finally, in 2005, the international classification of sleep disorders-2 (ICSD-2) has established criteria for recurrent hypersomnia, including KLS and menstrual-related hypersomnia. Recently, large series of patients have been published and reports of familial cases and monozygotic twins have set the path for genetic studies.